It saves all the processing and packaging involved with microwave popcorn. plain kernels are straight from the ground. And just to reiterate for good measure, you get twice the amount of popcorn for the same price. That’s a win if you ask me. 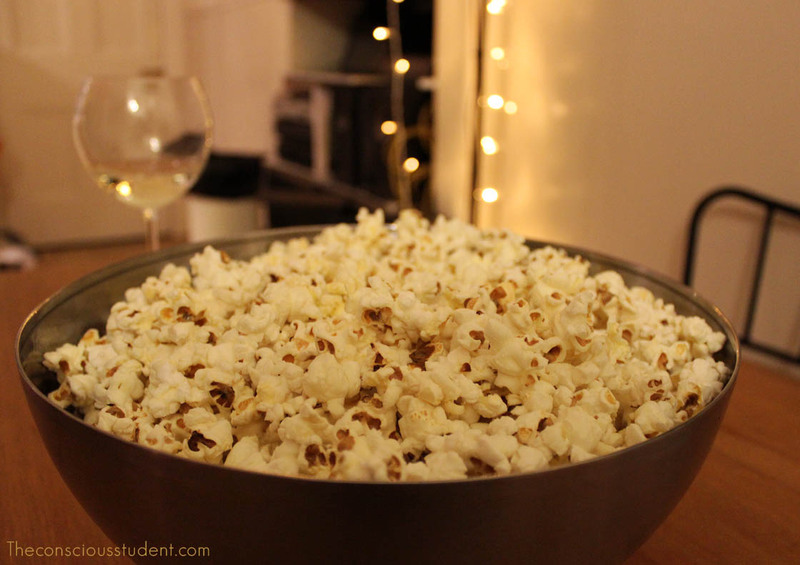 Place the oil and 4 pocorn kernels into a very deep saucepan, put on a high heat, and cover the pan. Put the pan back onto the heat and the popcorn should start to pop.